Keith Tufte has over 25 years of successful professional investment management experience. He started his career working as an analyst on Wall Street in New York for six years at JP Morgan Investment Management. Keith then moved back to his home state of Minnesota and worked for the next 15 years at American Express Financial Advisors, a large mutual fund and financial planning firm. His positions at American Express Financial Advisors included several years each as an Equity Analyst, as a Mutual Fund Portfolio Manager managing funds in size from $800 million to $4 billion, as Director of Equity Research for the firm, and as a Hedge Fund Portfolio Manager working on funds over $300 million in size. After working at American Express Keith worked for several years as a Managing Director and Hedge Fund Portfolio Manager at Black River Asset Management, a large hedge fund firm. Over the past 16 years Keith has been a portfolio manager on various types of funds (mutual funds, institutional accounts, wealth management accounts, hedge funds) ranging in size from $300 million to $4 billion. 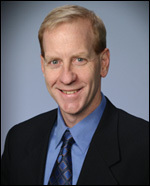 Keith has a BA degree in economics from St. Olaf College and an MBA degree in finance from the University of Michigan. He is also a Chartered Financial Analyst (CFA). Keith is currently a mentor/advisor at the University of Minnesota Graduate School of Business Carlson Growth Fund. Keith is President and CEO of Longview Wealth Management, LLC, a firm dedicated to providing comprehensive wealth management to successful families, business owners, and non-profits. He is also President and Chief Investment Officer (CIO) of Cherry Tree Wealth Management, LLC. Keith has been interviewed and/or quoted on various investment related topics by the Minneapolis Star & Tribune, the St. Paul Pioneer Press, Twin Cities Business Magazine, SmartMoney Magazine, Financial Planning Magazine, ezinearticles.com, am 1500 KSTP Talk Radio, and the Fox Business Television Network's Neil Kavuto show. Keith has been selected as a "FIVE STAR wealth manager" by Twin Cities Business and Minneapolis/St. Paul Magazines for 2016, 2017, 2018, and 2019. These top wealth managers are selected based on customer service, knowledge/expertise, communication, a clean regulatory record, and overall customer satisfaction. Call Keith today at 952-465-1785 or e-mail keith@longviewwealth.com to discuss your situation, to schedule a complimentary initial consultation, to get a Free Portfolio Review or to receive our free monthly e-newsletter Longview Insights on investing and wealth management. Longview Wealth Management, LLC is a registered investment advisor in the states of Minnesota and Washington. The advisor may not transact business in states where it is not appropriately registered. The rendering of personalized investment advice for compensation will not be made without registration or exemption.